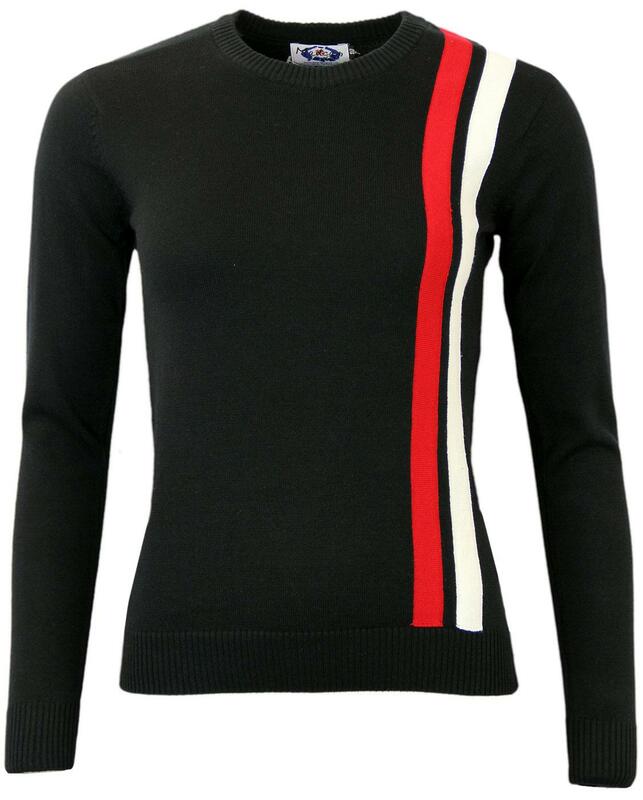 Women's Retro 60s Mod Racing Jumper by Madcap England. 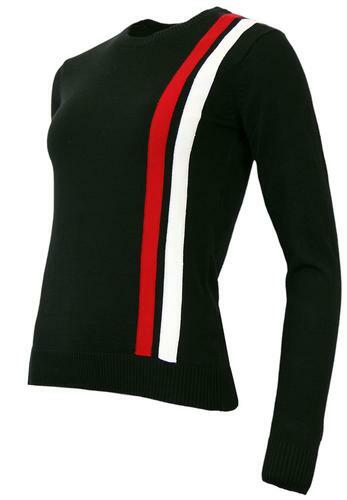 Black with white and red racing stripes. 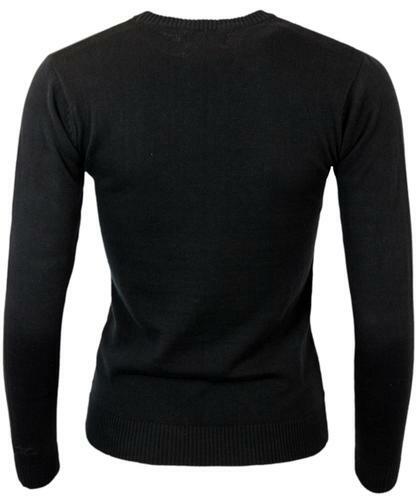 Madcap England tonal signature embroidery to sleeve cuff.